Dr. Markovic received her DVM from the University of Illinois, Urbana-Champaign. Following her DVM, she completed a small animal medicine and surgery internship at the VCA Sacramento Veterinary Referral Center in California, and a residency in Cardiology at the University of Wisconsin-Madison. Dr. Markovic completed the first veterinary Interventional Cardiology Fellowship from 2016-2018 at Colorado State University. 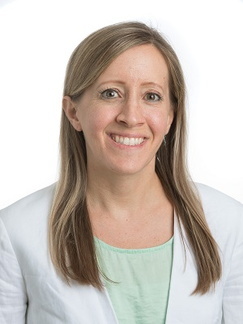 She is currently an Assistant Professor of Cardiology at the University of Minnesota Veterinary Medical Center and her primary interest is in the field of interventional cardiology. Dr. Markovic’s clinical and research interests include interventional cardiology, multimodality imaging, congenital heart disease, 3D cardiac printing and cardiovascular pathology. Markovic LE, Scansen BA, Orton C. Interventional Management of Central Venous Obstruction in Dogs. 2018 ACVIM Forum Proceedings; 2018 June 13-16; Seattle, WA, USA. Greenwood Village, Colorado: ACVIM; 2018. Markovic LE, Scansen BA. Effect of calibration methods on the accuracy of angiographic measurements during transcatheter procedures in dogs. J Vet Intern Med, 2018 May-June; 32; 956-961. Markovic LE, Scansen BA, Potter BM. Role of computed tomography angiography in the differentiation of feline truncus arteriosus communis from pulmonary atresia with ventricular septal defect. J Vet Cardiol, 2017;19:514-522. Scansen BA, Markovic LE. Cutting and High Pressure Balloon Valvuloplasty for Dysplastic Pulmonary Valve Stenosis. 2017 ACVIM Forum Proceedings; 2017 June 7-10; National Harbor, MD, USA. Greenwood Village, Colorado: ACVIM; 2017. Tjostheim SS, Stepien RL, Markovic LE, Stein TJ. Effects of Toceranib Phosphate on Systolic Blood Pressure and Proteinuria in Dogs. J Vet Intern Med. 2016 Jul;30(4):951-7. Markovic LE, Kellihan HB, Roldán-Alzate A, Drees R, Bjorling DE, Francois CJ. Advanced multimodality imaging of an anomalous vessel between the ascending aorta and main pulmonary artery in a dog. J Vet Cardiol. 2014 Mar;16(1):59-65. Markovic LE, Stepien RL. Development of systemic hypertension after administration of toceranib phosphate (Palladia®) in dogs (2010-2012). J Vet Intern Med. 2013 27: 637 (abstract). Garrett LD, Singh K, Rodriguez C, Fan TM, Markovic L. Ezrin Expression and Biologic Behavior in Canine Rhabdomyosarcomas. Proc. 29th Annual Conference Veterinary Cancer Society, Austin TX, 2009. Martinez Amezcua, C., L.E. Markovic, and C.M. Parsons. 2004. Effect of increased heat processing on phosphorus (P) bioavailability in corn distiller dried grains with solubles (DDGS). J. Anim. Sci. Vol. 82 (Suppl. 1) p. 263.